After 30 years in Santa Cruz, Alexandria Jahn has set down roots for her family right here in Folsom, CA. She is an experienced pet sitter, with over 15 years of experience with a variety of animals (including reptiles and horses). 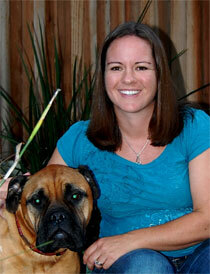 She has also taken pre-vet classes and worked as both a kennel assistant, dog walker, and veterinary technician. She is certified in Pet First Aid. "Not a day in my life has gone by without pets as companions. Over the years I've had dogs, cats, horses, chickens, rabbits, goats, snakes, hedgehogs, chinchillas, fish and rats. Currently our family includes a dog, two cats, and a goldfish." 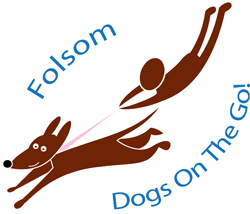 Folsom Dogs On The Go! is insured through Pet Sitters Associates, LLC and is also a member of Professional United Pet Sitters, LLC.